When I decided I wanted an acoustic piano I did the usual internet research and quickly came to the conclusion that I needed to try a Grotrain piano. I contacted Ben Wheeler and arranged a showroom visit. Ben took me through his range of pianos and then left me to try them out. I was under no pressure and began to appreciate the differences in the Kawai and Grotrian uprights. There wasn’t any comparison really but could I justify the large difference in price? After a few hours of playing my limited repertoire I was left with a question, if I was going to get a Grotrian upright shouldn’t I also try the other top German piano brands. I explained my thinking to Ben and he agreed I should first try the others but he was confident I would return. 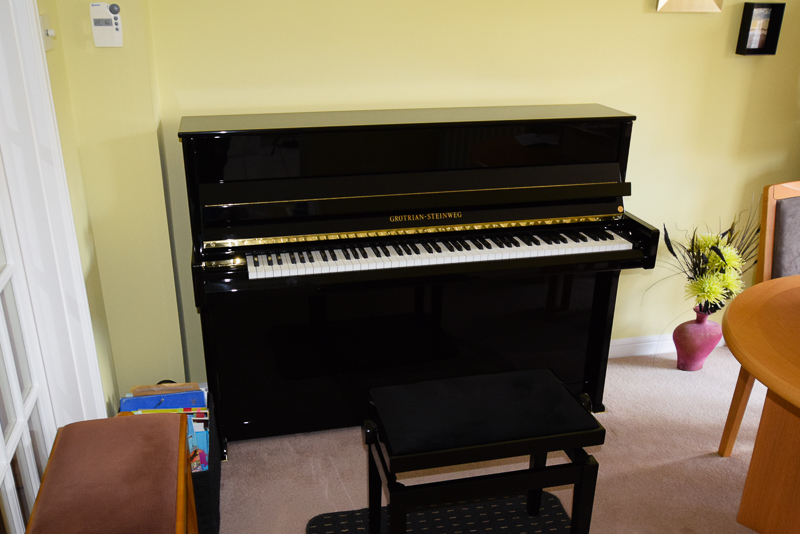 Well return I did, it took me a further 9 months to conclude that the best value piano for me at my level and aspiration was a Grotrian Crystal. I am delighted with the little Crystal, it fits our room both sonically and visually and sounds much larger than its 112 cm would suggest.